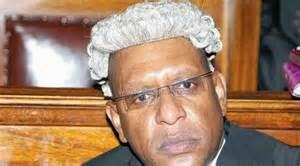 Director of public prosecutions Keriako Tobiko has ordered for the prosecution of two police officers over the killing of 14-year-old school girl in Kwale County in August. In a letter to Inspector General of Police David Kimaiyo, Tobiko directed that Inspector Veronicah Gitahi and Constable Issa Mzee with the murder of Kwekwe Mwandaza at the High Court in Mombasa. A copy of the letter was sent to Assistant DPP in Mombasa Alexander Muteti to ensure sufficient charges are preferred against the suspects. The girl was shot dead at 2 am on August 21, during an incident in which eight police officers stormed her family’s home at Mwawewu village in Kinango. The police had raided the home with the aim of arresting her uncle George Zani. Mr Tobiko gave the orders following separate investigations conducted by the Directorate of Criminal Investigations and the Independent Policing Oversight Authority. An investigation file by the Directorate, which is the investigations arm of the police, recommended that the matter be referred to “public inquest,” while IPOA said the two officers should be charged with the capital offence. The DPP upheld the investigation carried out by the civilian oversight body and disregarded the one by the police. A postmortem conducted before the girl was buried revealed that two bullets shattered the skull.